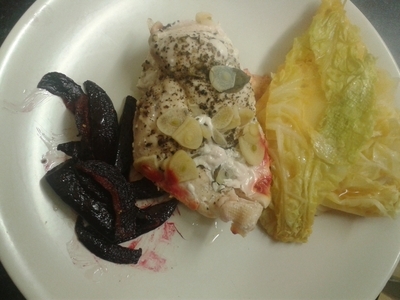 Beetroot and cabbage don't have to be vegetables approached with caution. You can turn the autumnal veggies into yummy sides, which your little ones will enjoy as part of a healthy lunch or dinner. 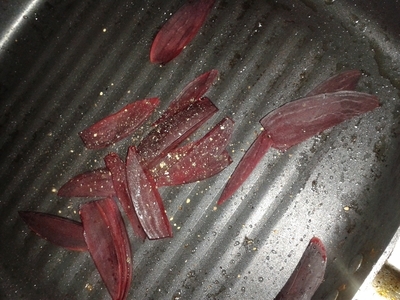 Beetroot becomes more bearable once turned into tasty 'chips', but with less than half the fat of regular chips, and double the nutritional content too. 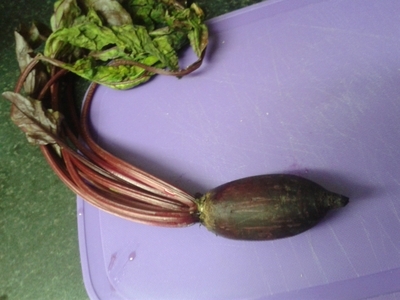 Beetroots are an excellent source of folic acid and a very good source of fibre, manganese and potassium. The greens should not be overlooked; they can be cooked up and enjoyed in the same way as spinach. While heirloom varieties like white and golden yellow beets make for pretty dishes, only red beets have the cancer-fighting compound betacyanin. Introducing this vegetable into your child's diet early, is a great way of getting them to understand, enjoy, and relish vegetables in general. 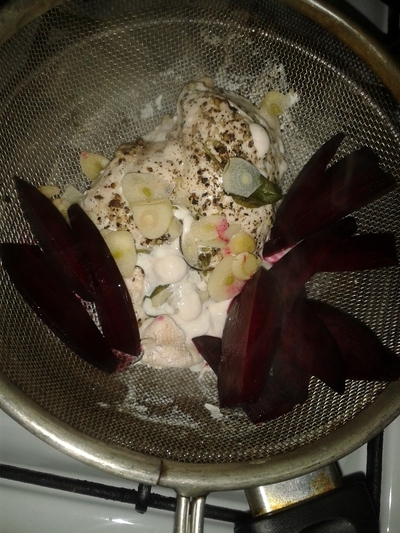 Place the fillet in a sieve on top of a saucepan of boiling water. 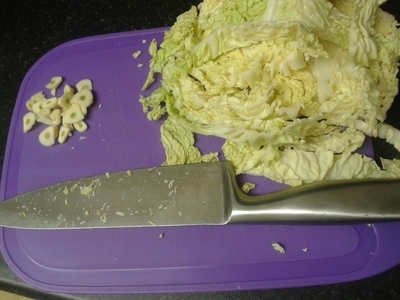 Slice the garlic cloves and cabbage finely. Add the herbs to the chicken. 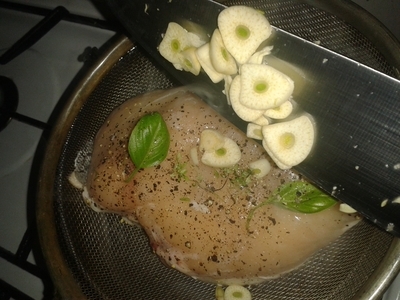 Season the fillet with the pepper and garlic. 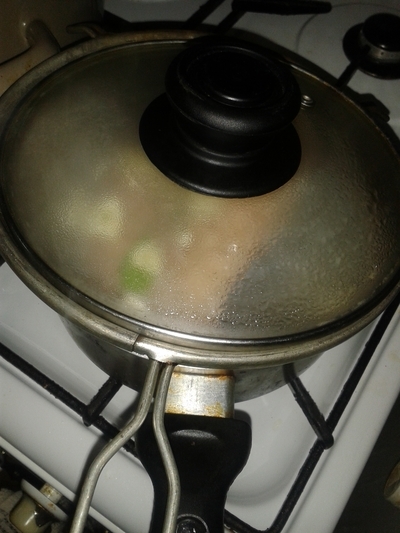 Cook over a medium heat and cover with a lid for 30 minutes. 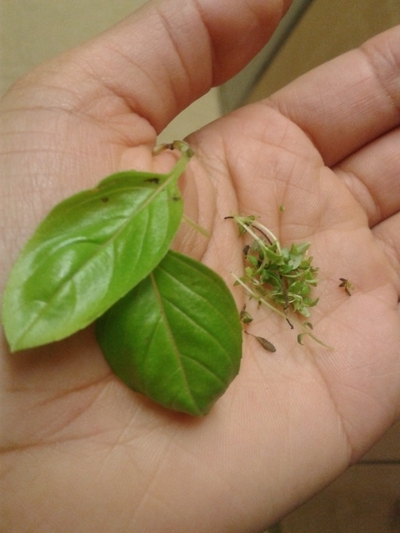 Chop the ends off and slice into thin 'chips'. 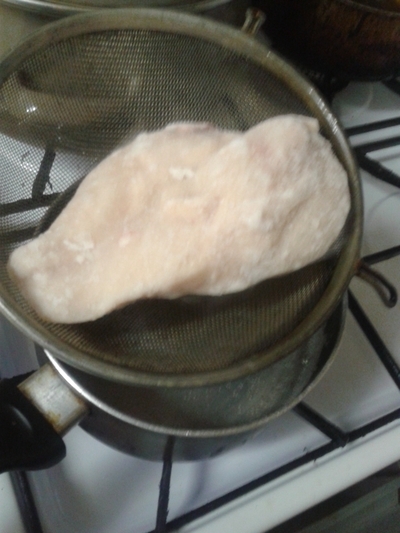 Add the slices to the sieve of chicken for 5 minutes. Add the cabbage to the water which is boiling beneath the sieve. 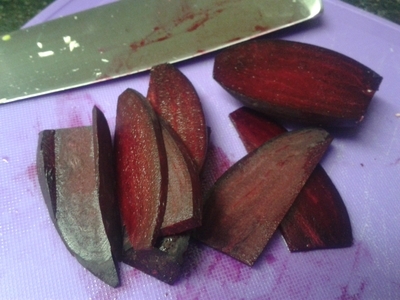 Remove the beetroot from the sieve and lightly fry in coconut oil for 2 minutes. 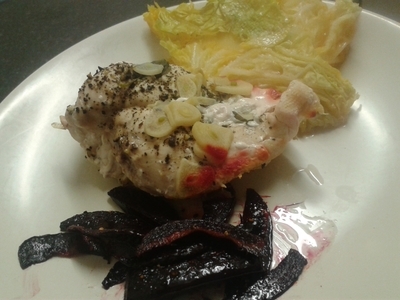 Slice the fillet in half and serve with a handful of cabbage, and the chip-like strips of fried beetroot. Steaming the meat helps to retain the nutritional content, and it keeps the meal low-fat, too. Adults can enjoy this meal too, but keep the chicken fillet whole.